So my time with Shyamalan comes to an end with this last title, and while I am loving the Sci-Fi Chronicles book, his past two titles were really tough to get through. And before I get into the film itself, what was up with the really weird accents in this film? I couldn’t even understand what kind of accent they were trying to go for. 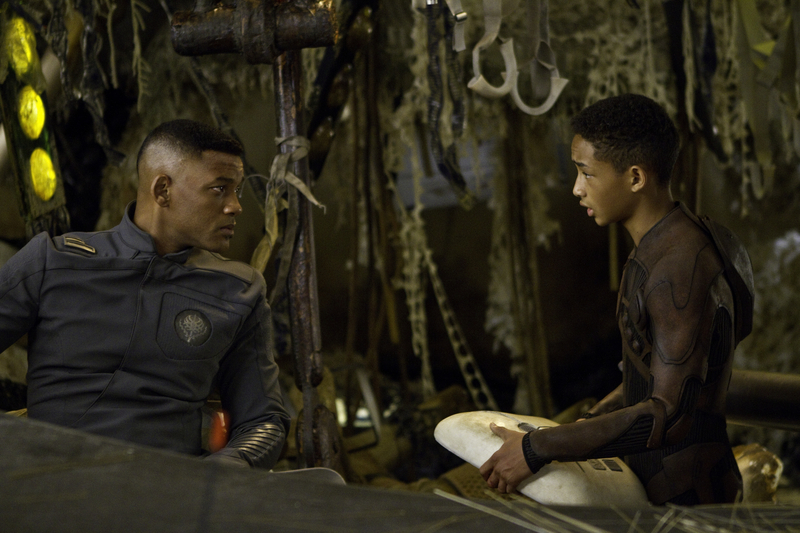 Generally I like Will Smith, and his son, young Jaden tends to be fairly reliable as well, but this one was just a mess from start to finish. The only thing I did enjoy was the design of the world on which the Raiges (Smith, Snith & co.) lived, but while it was an interesting design, it neither looked very lived in, nor very functional, it was more like the directive was make it look cool and futuristic, let’s not give a lot of thought on how things are designed. But before they can connect, the ship, which is also transporting some strange alien that can literally see your fear and track you that way, is struck by an asteroid storm and they are forced to crash-land on a quarantined planet, the long left behind planet Earth. Here they have to survive, but Cypher is critically injured in the crash, and its up to young Kitai, in typical coming of age fashion, to go out, activate the beacon, and confront his own mortality, danger, and fear itself. Armed with his father’s blades (these are kind of cool), Kitai is directed remotely by his father, as he tries to survive the strange environment that the Earth has become since humanity abandoned it. But his own pride and determination could prove to be his undoing. 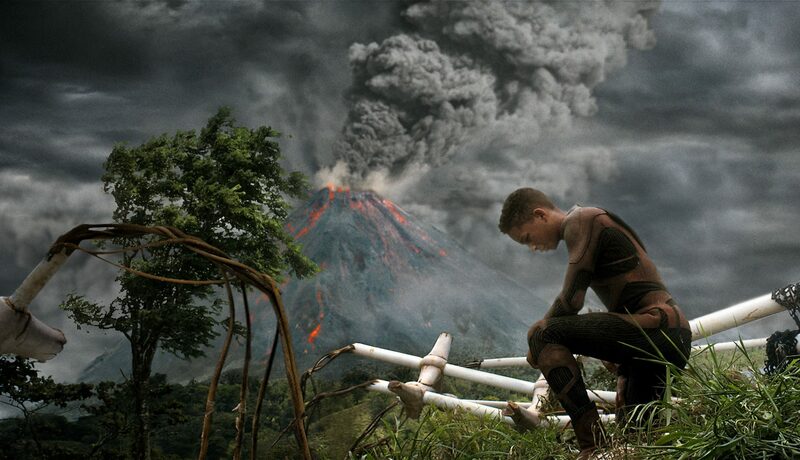 Surrounded by some less than believable creature fx, Kitai traverses the wilderness, trying to connect with his father in his own way, as they both recall the death of Kitai’s sister, Cypher’s daughter, Senshi (Zoe Kravitz), something that Kitai blames himself for. Course, there never seems to be any doubt that both Cypher and Kitai are going to survive the events of the film, the stakes never seem high enough, and the pacing and the ‘drama’ don’t seem to be doing the film any favors either. I’m not sure if this is completely reflective of Shymalan’s filmmaking ability or if he’s just chosen some really poor scripts to work on… but this one just doesn’t work. He can’t seem to imbue his characters or his world with believable life.